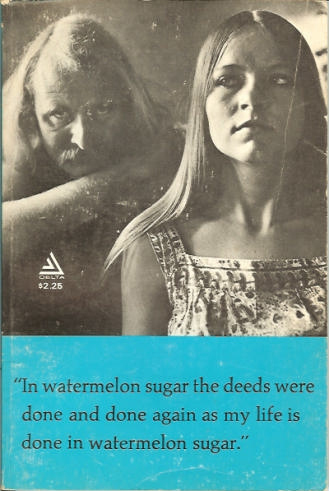 Our lives we have carefully constructed from watermelon sugar and then travelled to the length of our dreams, along roads lined with pines and stones. I have a bed, a chair, a table and a large chest that I keep my things in. I have a lantern that burns watermelontrout oil at night. That is something else. I'll tell you about it later. I have a gentle life. I go to the window and look out again. The sun is shining at the long edge of a cloud. It is Tuesday and the sun is golden.